While searching the Public Record on another issue, I came across the notice for your public meetings, which concluded today. While my written submission obviously won’t make it to you in time for consideration at the current meeting, I hope that you will take it under consideration for your next meeting, or in the interim. By way of introduction, I’m a service-disabled veteran, and I’ve been active on policy issues related to deployment, deployment health, and Gulf War veterans’ illnesses for about 15 years. As such, I’m an appointed member of the VA’s Research Advisory Committee on Gulf War Veterans’ Illnesses (RACGWVI), DoD’s Congressionally Directed Medical Research Program (CDMRP) Gulf War Illness Research Program (GWIRP) integration panel, and the newly created VA Gulf War Steering Committee (GWSC), which had its first meeting today. I’m informed by my more than seven years active duty military service as a member of the U.S. Army special operations community, including service in Somalia and the 1991 Gulf War. my service as a former senior public official with the State of Wisconsin Department of Veterans Affairs, an ex-Congressional aide, active involvement with the Disabled American Veterans (DAV), the State of Wisconsin Council on Veterans Programs, 91outcomes.com (a health/news website I publish for my fellow Gulf War veterans), Veterans of Modern Warfare (VMW), and regular communications with the National Gulf War Resource Center (NGWRC). 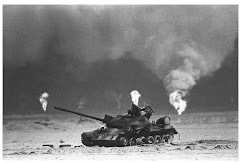 Presumptive Claims for Gulf War Veterans. Currently, there are three “ill-defined” illnesses that are presumptive for Gulf War veterans. They are: Chronic Fatigue Syndrome, Fibromyalgia, and Irritable Bowel Syndrome. I believe that these presumptions are appropriate, and are consistent with countless peer-reviewed scientific studies that have concluded that these conditions and/or their symptom sets have high, unusual prevalence among veterans of the 1991 Gulf War. The first of three presumptive conditions for Gulf War veterans, Chronic Fatigue Syndrome (CFS), can currently be rated as high as 100% depending upon the level of debilitation. I believe this is appropriate and should remain as it is. However, the second of the three conditions, Fibromyalgia (FM), can only be rated at a maximum of 40% under the current rating schedule, even though chronic fatigue and other debilitating symptoms can be totally and permanently disabling. And, because CFS is a diagnosis of last resort, a diagnosis of FM excludes a diagnosis of CFS, even if the veteran is clearly suffering from both debilitating chronic widespread pain and debilitating chronic fatigue. In other words, veterans who may be the worst off can only receive a maximum 40% rating if they have the diagnosis of FM, even with all the symptoms of CFS. VA should review these contorted rules so that veterans with FM can be rated as high as 100%, depending upon the level of debilitation. For the third of the three current presumptive conditions, Irritable Bowel Syndrome (IBS) can be rated to a maximum rating of 30%. This rating can be made in conjunction with a rating for CFS or FM (but not both, as previously stated). VA should also review the rules governing the maximum rating for this condition to allow for higher ratings relative to the actual level of debilitation. 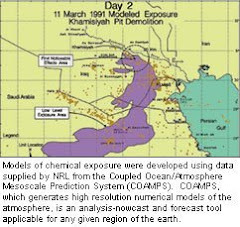 Given the predominance in epidemiological studies of Gulf War veterans complaining of upper and lower respiratory, digestive, and neurological symptoms, and conditions, VA should review the rules to grant presumptive service-connection for upper and lower respiratory, digestive, and neurological conditions to grant presumptive service-connection for these conditions, including but not limited to Gastro-Esophageal Reflux Disease (GERD), diagnosed respiratory disorders including but not limited to asthma, bronchitis, bronchiolitis, and chronic obstructive pulmonary disease (COPD), and diagnosed neurological disorders involving pain, cognition, and other symptoms widely reported symptoms among Gulf War veterans. Finally, VA should work hard to establish an appropriate listing of presumptive illnesses for Gulf War veterans disability claims – the gateway to their VA health care. Thank you for your service on behalf of all veterans.